Filed to: Does Apple need to play nice?Filed to: Does Apple need to play nice? Does Apple need to play nice? In just over a week, Apple’s Watch Now menu could look a whole lot different. 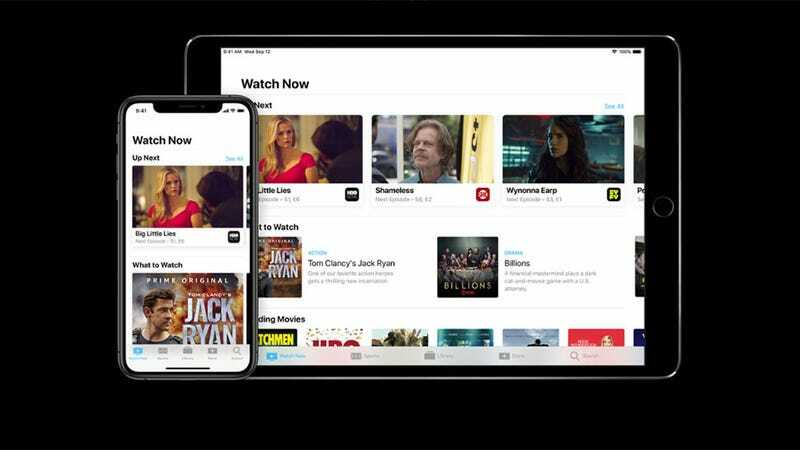 With the imminent arrival of Apple’s new streaming video service scheduled for next week, the tech giant is on the cusp adding content creator to its traditional hardware-making and app store-managing duties. However, in an effort to stock its upcoming service with shows, it seems Apple’s secretive Silicon Valley-esque habits are becoming a nuisance for the entertainment veterans hired to develop its shows. According to the New York Times, one issue stemming from Apple’s venture into the content world is the highly guarded ways Apple uses to keep things under wraps. In the tech world, this is sort of second nature, but for more free-wheeling media types, Apple’s lock-down policies seem to have become a source of frustration. After talking to dozens of sources, The New York Times claims that a lot of players accustomed to getting regular updates are now being confronted with a general lack of information when it comes to learning how and when their shows will get released, with even fewer details regarding the general rollout of Apple’s still-unnamed streaming service. Apparently, Apple’s entertainment team has resorted to updating people on an individual basis, but only as things pertain to the specific show they are working on. Another source of discord seems to be a sense of “squeamishness” some Apple executives exhibited whenever one of the company’s devices was featured in a show, with some requesting specific details on how an iPhone or MacBook might be used. For the entertainment industry, which historically has been very protective about maintaining artistic independence, this could be seen as an unwelcome intrusion on the creative process. This would appear to be a major departure from how other streaming services like Netflix operate, which tends to give its creators free rein over its shows. Also, while product placement and corporate input isn’t exactly a new thing in the entertainment industry, forcing big-name creatives to work around Apple’s wishes could set it up for some contentious production negotiations in the future. And to make the run up to Apple’s March 25th launch event feel even more frantic, it seems as recently as last week, Apple was still rushing to complete deals with content providers like Starz, Showtime, and HBO to help add additional programming alongside Apple’s current lineup of original shows. Currently, the New York Times lists eight shows as being finished or nearly done, with the expectation that they will be featured as part of Apple’s first generation of home-grown content. Some of the bigger titles are an untitled series about a morning TV show starting Reese Witherspoon and Jennifer Aniston, a fantasy series called “See” starring Jason Momoa, a secretive new project from M. Night Shyamalan, and a new comedy series from “It’s Always Sunny in Philadelphia” stars Rob McElhenny and Charlie Day. For a company accustomed to being an industry leader across its various divisions, Apple’s lofty goals and $1 billion+ budget may have set expectations for its forthcoming streaming service just a bit too high. But content is king, so we won’t know for sure until these shows hit the net.